Sweet, gentle Dial Baby Body + Hair Wash for newborn to 2 year olds. This wash very gently removes dirt with an odor-free formula. Perfect for extra soft, sensitive baby skin. 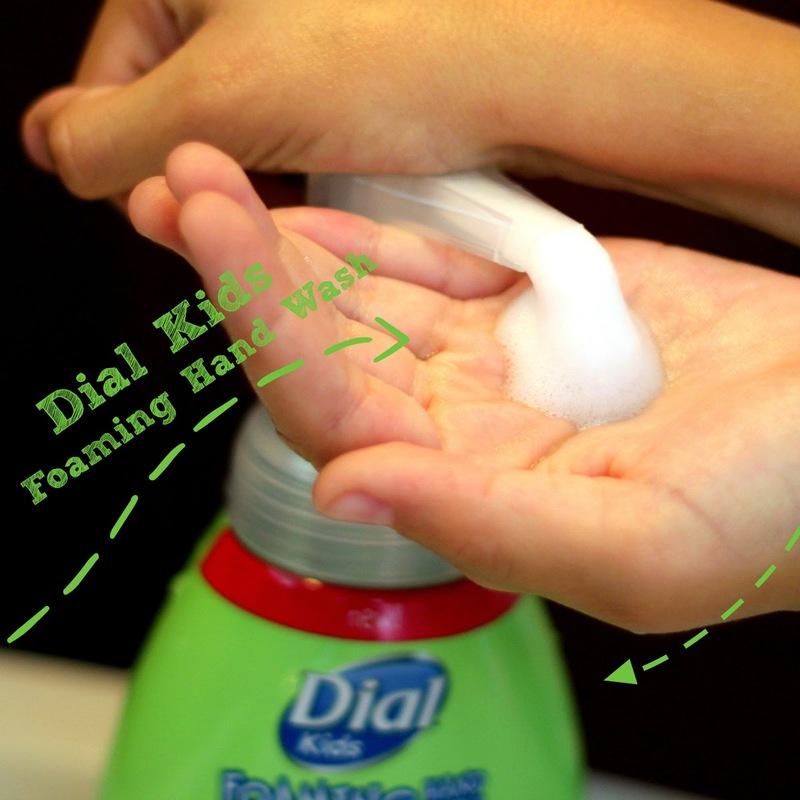 New Dial Kids Foaming Hand Wash with a watermelon scent. River loves the smell of this hand wash and so do I, but for different reasons. He just thinks it's a great scent, but I like it because it's so easy to tell if his hands are clean by the nice, sweet, watermelon scent. He also likes the foaming and how easily it washes off, and that he knows his hands are clean when he doesn't see any more bubbles. Both of these washes were developed by pediatric dermatologists, with the resources of Dial's 67 years of product development, so they are super gentle and cleansing. Both products are hypoallergenic with no artificial parabens or dyes, and are pH balanced. Would you like to try your own bottles of either Dial Baby Body and Hair Wash or Dial Kids Foaming Hand Wash - or even one of each? Enter below to win two coupons for your choice of either of these new Dial products. Good luck! 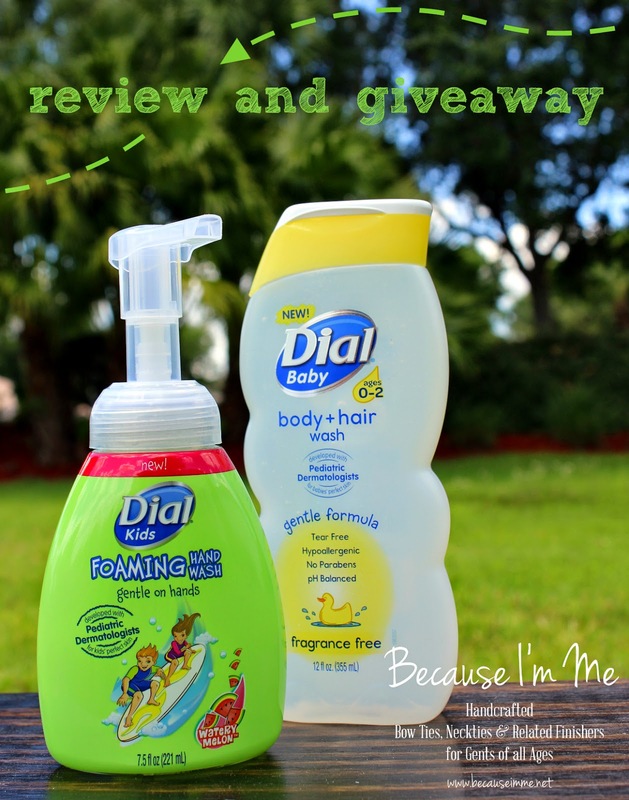 The Dial brand provided me with a sample of Dial Baby Body and Hair Wash and Dial Kids Foaming Hand Soap in exchange for a product review. All the opinions expressed here are my own. I want to try the foaming hand soap because its easy to use! I would like to try the Body & Hair wash because it would be gentle on my son's skin. I'd like to try Dial Baby Body and Hair Wash and/or Dial Kids Foaming Hand Wash because we like the Dial brand. I would love to try the Dial Baby Body and Hair Wash. I would like to try the baby body wash because I have an infant and he takes baths ha ha.